The Rooms campaign to commemorate the Battle of Beamont Hamel in World War I received another big boost on Thursday. 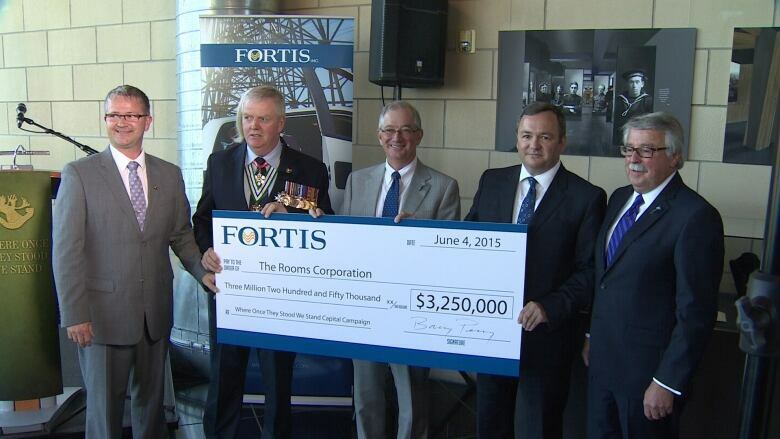 Fortis is donating a record $3.25 million to the museum's "Where Once They Stood We Stand Campaign." It's the second multimillion-dollar donation in less than a week, putting the campaign halfway to its $20-million goal. The Rooms CEO Dean Brinton says it's a huge step forward, but more help is still needed. "It means that the corporate community has been challenged by Fortis.," he said. "We still have a lot of plans, all based on commemorating the hundredth anniversary, and I believe this gift from Fortis really sets the bar." It's the largest donation ever given to a cultural institution in Atlantic Canada. The money will pay for a permanent exhibit at the The Rooms, dedicated to the Royal Newfoundland Regiment and many of the events planned for July 2016 to commemorate Newfoundland's role in World War I. The Rooms is a St. John's cultural museum and art gallery and holds the provincial archives for Newfoundland and Labrador. 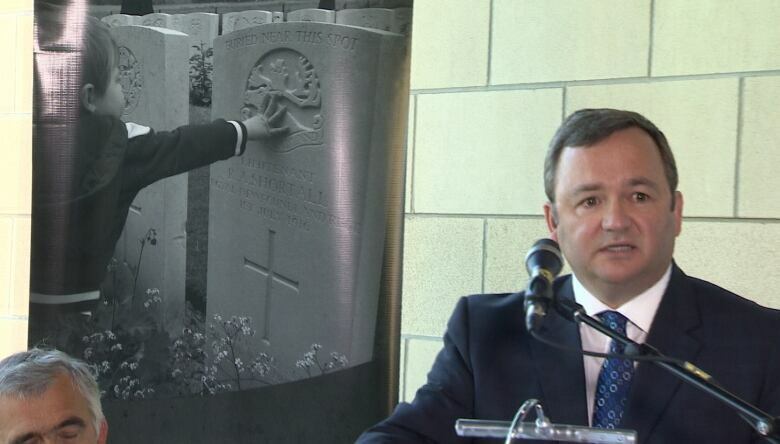 President and CEO of Fortis, Barry Perry, was also at the event to present the donation, and shared some stories of his own personal family connection to the 100-year-old conflict. 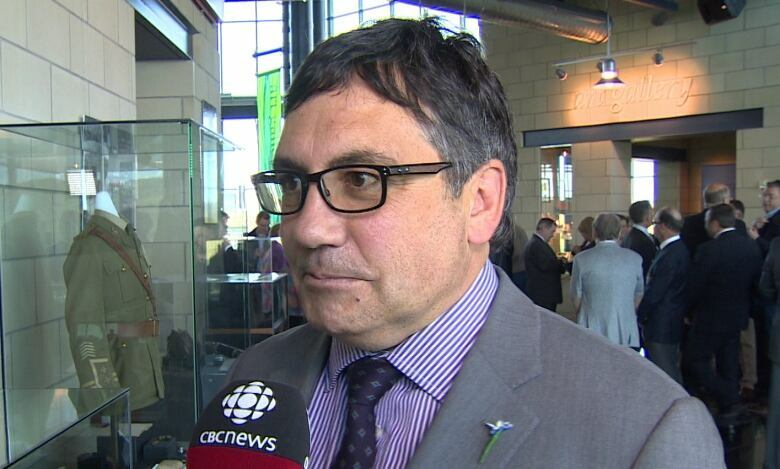 "Only two days ago, I learned that my grandfather, John Caine from Pound Cove, Bonavista Bay, enlisted in the Royal Newfoundland Regiment in 1918," Perry told dozens of people at Thursday's event. "On behalf of all Fortis employees, today I am honoured and proud to announce a commitment of $3.25 million to the capital campaign." The cheque was accepted by retired general Rick Hillier, chair of the Where Once They Stood We Stand campaign. Next year is the centennial anniversary of the Battle of Beaumont Hamel, and The Rooms is marking it with the opening of the new exhibit and events throughout the year. Last week, philanthropist Eleanor Gill Ratcliff also donated $3 million to The Rooms. While some of the money is going to be used to create the new permanent exhibit, some will be used to transform The Rooms' front lawn into a new amphitheatre, to be used for performances and re-enactments.